A busy weekend resulted in a number of changes in the RING Ratings. Let’s start with the junior middleweight division, where Canelo Alvarez stopped Liam Smith in the ninth round Saturday at AT&T Stadium in Arlington, Texas. 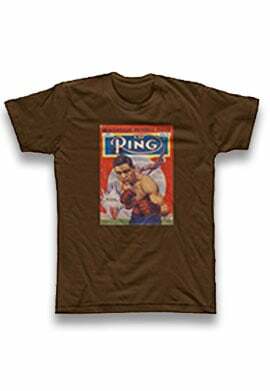 Canelo, the RING middleweight champ but unrated at 154 pounds last week, enters the junior middleweight ratings at No. 1. 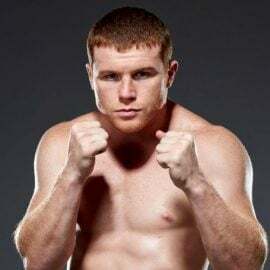 The RING editors expect Canelo to remain in the 154 Top 10 for a relatively short time (even though he took Smith’s WBO title) as he has implied strongly that he will fight at 160 pounds going forward. Smith (No. 8 last week) drops to No. 9. The Mexican star won the middleweight title by outpointing Miguel Cotto on Nov. 21, 2015. That means he has until May 21 of next year to schedule a fight. He’s expected to fight at middleweight on May 6. Oleksandr Usyk (No. 7 last week) made a huge splash by outpointing then-unbeaten Krzysztof Glowacki (No. 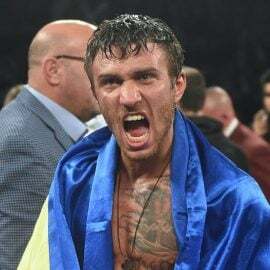 3 last week) to win the WBO belt on Saturday in Poland. 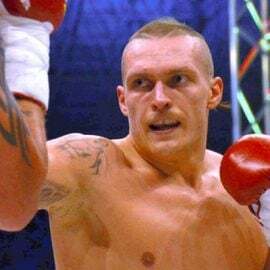 As a result, Usyk, the 2012 Olympic heavyweight gold medalist from Ukraine assumes Glawacki’s No. 3 spot. As a result of an oversight, we originally had Glowacki drop to No. 7, below his knockout victim Marco Huck. Instead, we decided to reshuffle the middle of the Top 10. Here’s how it looks now: No. 4 Tony Bellew; No. 5 Glowacki; No. 6 Marco Huck; No. 7 Firat Arslan. Arslan (No. 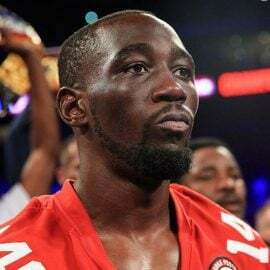 6 last week) outpointed Nuri Seferi (unrated last week) on Saturday in Germany but we don’t feel the 45-year-old is quite as good as Bellew, Glowacki and Huck at this point. Bernard Hopkins (No. 3 last week) leaves the ratings because he hasn’t fought for almost two years, well beyond the longstanding RING policy of removing fighters who have no scheduled fights over a 12-month period. The Editorial Board gave Hopkins extra time because of his legendary status in the sport and expectations that he would fight again sometime in 2016. However, Oscar De La Hoya, president of Golden Boy Promotions, said last week that Hopkins is now targeting next year for a goodbye fight. The Editorial Board and the Ratings Panel agreed that the time was right to remove Hopkins. The future Hall of Famer was replaced by unbeaten 2012 Olympic light heavyweight bronze medalist Oleksandr Gvozdyk, who enters at No. 10. Sharif Bogere (No. 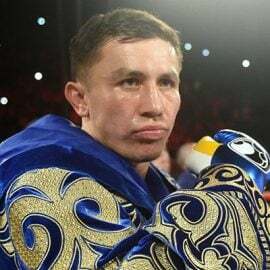 8 last week) remains where he is after stopping Luis Eduardo Florez (unrated last week) in five rounds on Friday in Las Vegas. Joseph Diaz Jr. (No. 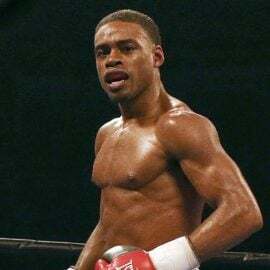 9 last week) retained his spot after knocking out Andrew Cancio (unrated last week) in nine rounds on the Canelo-Smith card. Veteran Hozumi Hasegawa (unrated next week) stopped Hugo Ruiz (No. 7 last week) in nine rounds Friday in Japan. As a result, Hasegawa enters at No. 7 and Ruiz drops out. Diego De La Hoya (No. 10 last week) held his position after he outpointed Luis Orlando Del Valle (unrated last week) on the Canelo-Smith card. 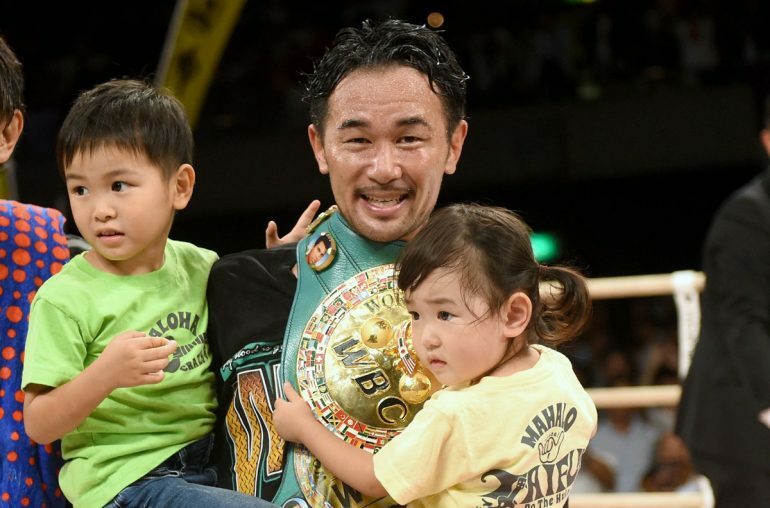 The RING crowned a new champion as Shinsuke Yamanaka (No. 1 last week) knocked out Anselmo Moreno (No. 2 last week) in the seventh round of a Fight of the Year candidate Friday in Japan. Moreno dropped to No. 5. The opening created by Yamanaka’s ascension was filled by Pungluang Sor Singyu, who entered at No. 10. Canelo (No. 8 last week) and Yamanaka (No. 9 last week) retained their positions.